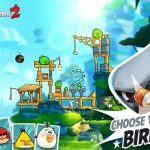 Angry Birds: Stella Pop is the latest installment in Rovio’s successful Angry Birds franchise and since the original Angry Birds: Stella didn’t really introduce any new twists to the game mechanics, this might be the game for you. 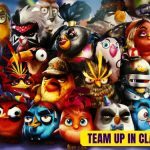 After all, it combines vintage Angry Birds-style gameplay with vintage Match 3 mechanics – considering the popularity of the Angry Birds series and the sheer simplicity of Match 3 puzzles, this just might be a match made in heaven. So what’s the deal with this game and how can you complete more three-star levels? 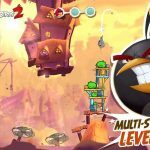 Read on, as we bring you an Angry Birds: Stella Pop strategy guide, as well as some excellent tips and tricks. Some Match 3 games are best played if you create your matches on the upper part of the board, and that does apply in Angry Birds: Stella Pop. Before creating a match, it’s always advisable to look at the entire board and see if you can create a match that will start a ripple effect, or in other words, create even more matches. Unlike your typical Angry Birds game, the character you’re using doesn’t matter that much. And you can say that’s what makes Angry Birds: Stella Pop so good. But as we were about to say, the more important thing is to unlock your character’s streak power. Do your best to keep a streak going, as that’s going to allow you to use their super power. If you feel stuck in a certain level, then it may be as simple as switching the balls. Tap the ball underneath the sling to replace the one you chose, and that may end up being the key to successful level completion. Yes, we’re offering this tip once again, because it can really be helpful, just as long as you know other people who play the game. It can be a real hassle to be out of lives, but if your game is connected to Facebook, you can ask your friends for extra lives. Of course, don’t forget to send some lives back in return! You’ll start the game with only a handful of power-ups, and since they won’t be easy to come by (you will have to pay real cash for them), we advise you to hold off on using those free power-ups and save them for a time when they can actually be of help, or if you’re stuck in a level. 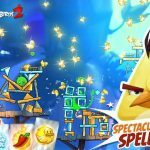 While your ability in hitting trick shots in Angry Birds: Stella Pop won’t be rewarded as often or as richly as it would in games such as Peggle Blast, trick shots can be a great way for you to complete more three-star levels. In specific, hitting a wall shot in this game would be a nifty trick to perfect. Once you’ve got everything down pat, you can use those wall shots to reach places that are otherwise hard to reach.